The day started out with the sound of the beach boys/ “Surfin’ Safari” which was met with mixed feeling but had the same result; everyone got up. Breakfast was cereal which was held down below for time sake. We cleaned up and headed to the bus station. 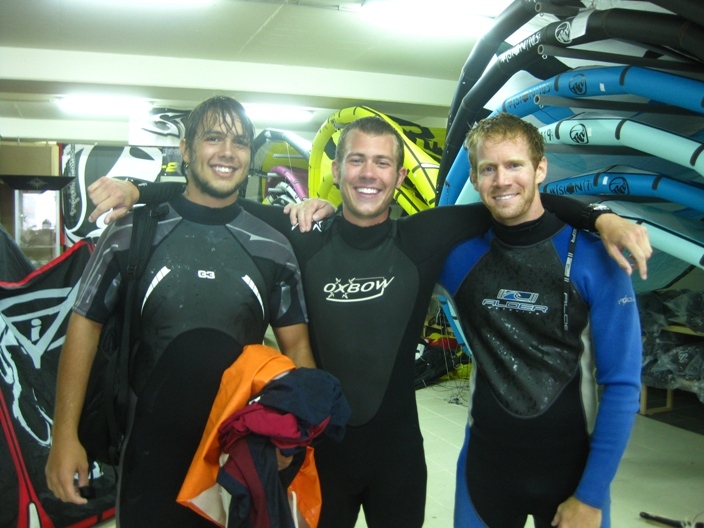 The weather was not what is normally associated with surfing but we managed and trekked through town in our foulies. 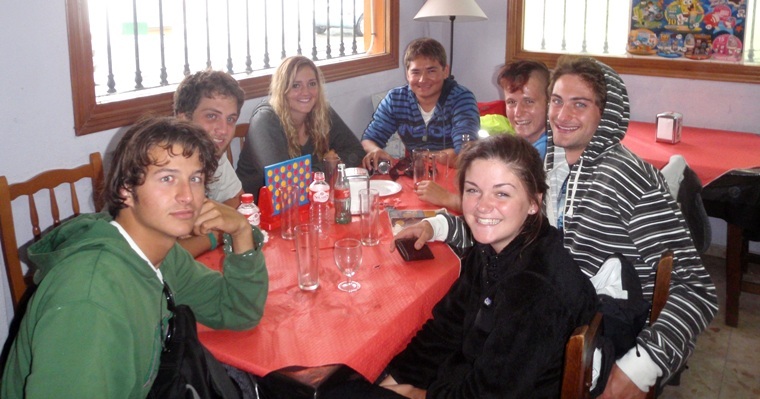 We walked across the boarder into Spain to the bus station and went to Tarifa, Spain to a surf shop. 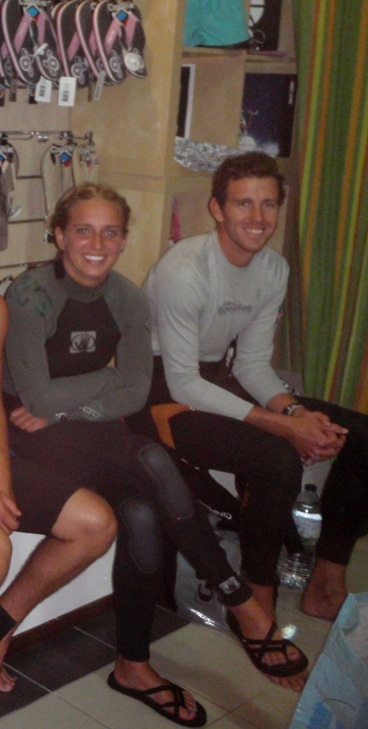 The manager was a typical looking surfing dude; long blond hair and extremely tan. 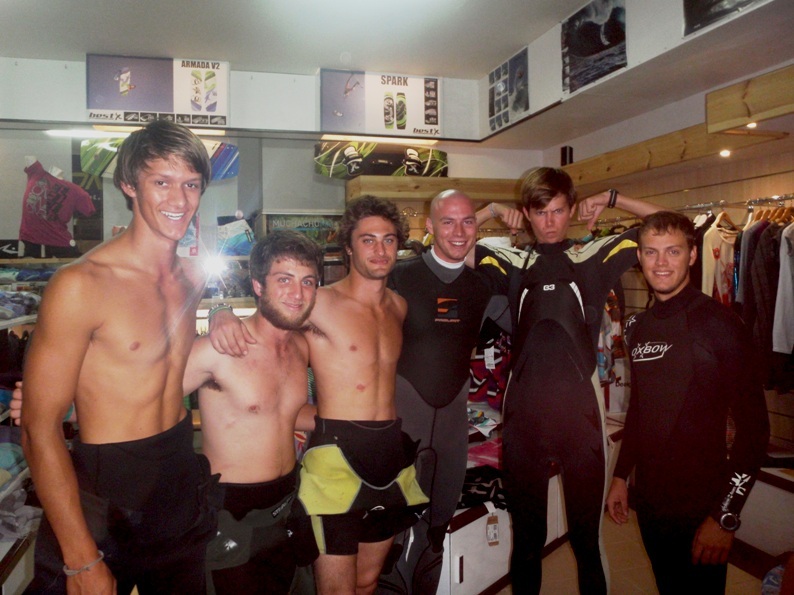 The group was divided up into wind surfers, surfers, and surfers who needed lessons. The weather at this point had progressively gotten worse as we made our way to the water. We walked about a mile from the shop to the water. Finally we got our boards and made our way into the water; which was very choppy. Control of the boards with the wind was challenging, but the instructor would mention every once in a while that we should be used to this as we are sailors. 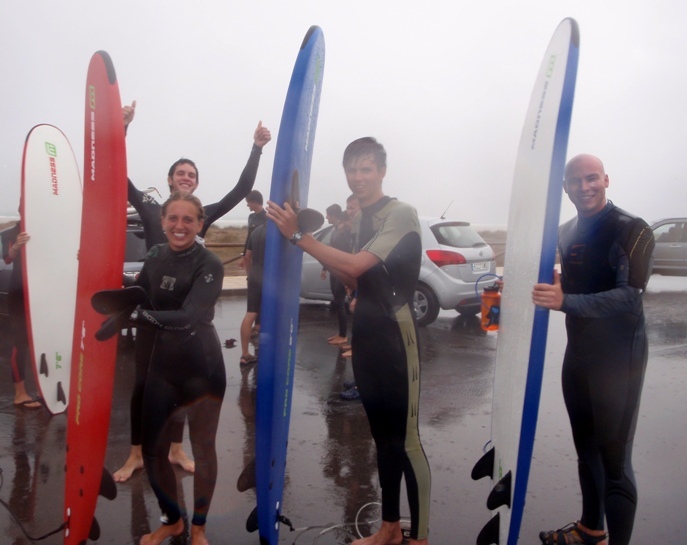 The surfing day was great despite the weather; after that some of the more experienced surfers started coming in to recoup from the waves. At the end of the day everyone ended up in a little pizzeria where we then headed off to the bus back to the boat. The energy and excitement on the bus was expressed through heavy breathing and snoring on the ride to the station. Dinner was ordered due to the lack of space and time in the galley because a large provisioning was taking place. After dinner the new watch teams met and discussed their duties on board during there watch. Dinner was cleaned up and everyone headed towards bed.